Two different groups or people claimed responsibility for attacks on Electronic Arts' login servers and Steam through DDoS attacks. Electronic Arts' login servers went down late yesterday, taking down Origin and preventing players from playing EA games on various platforms or accessing the storefront due to a DDoS attack. In a different attack, Steam's authentication server and storefront went offline shortly after 11 p.m. for about an hour before returning online and experiencing outages. A person or online group named DERP asserted on Twitter it had attacked EA's servers. 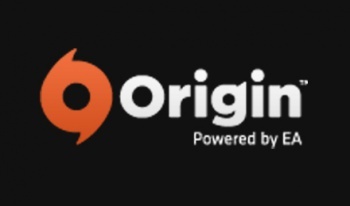 Early this morning, EA's Support Twitter account announced Origin services were available once more. Earlier this week, DERP attacked Dota 2, League of Legends, Club Penguin, and Battle.net as Twitch streamer James "Phantoml0rd" Varga streamed them. DERP takes no responsibility for the attack on Steam. An individual on Twitter named chFtheCat claimed it and another Twitter account named Larceny_ worked together to take Steam offline. The two later claimed they were attacking Battle.net. The two users targeted Steam because DERP targeted Origin, chFtheCat said. The attack on Steam coincides with the final day of Steam's Winter Sale. Valve has not responded to the attacks on Facebook, Twitter, or Steam support forums. The digital distribution service appears to be functioning without interruptions now as does Steam Community, which was previously unstable. DDoS attacks violate the terms of service of all internet service providers and are considered illegal in many individual countries.